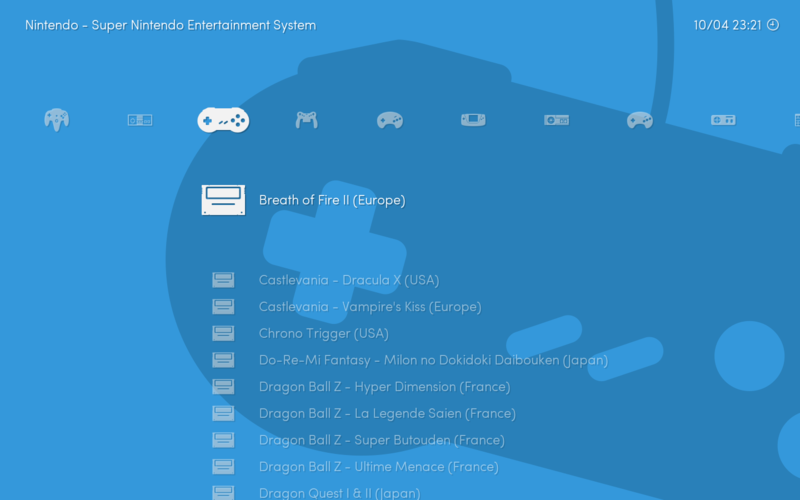 Lakka can be configured to load a new wallpaper for each system icon on the horizontal list. This feature is referred to as Dynamic Wallpapers, or sometimes Per-System Wallpapers. 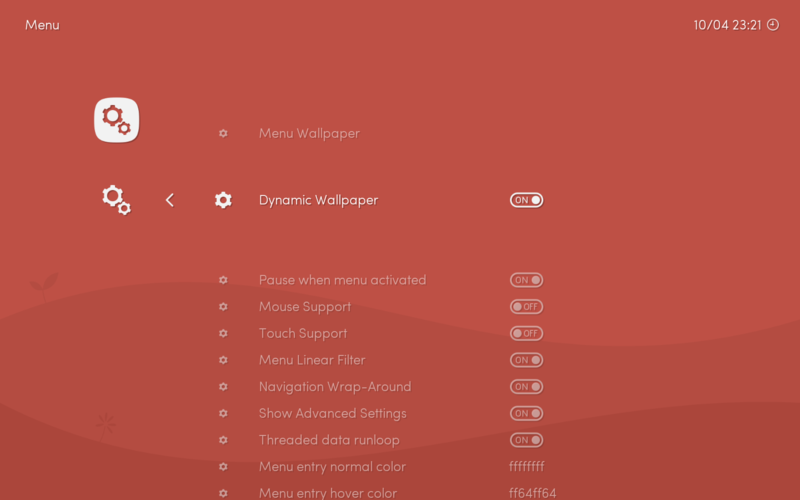 Dynamic Wallpaper must be enabled in the Menu settings. Please note that the ‘Ribbon’ must be disabled in order for the wallpaper to appear. Then, you must go to the Directory settings and set your Dynamic Wallpapers Dir to point to a directory containing wallpaper images. The images have to be PNG, and named to match the screen title which appears in the top-left corner of the screen when you navigate the horizontal menu. Currently, three wallpaper themes are provided in the default installation of Lakka. They are located in the directory /tmp/assets/wallpapers. Each wallpaper theme has a subfolder labelled by its image resolution. From within Lakka’s wallpaper directory configuration menu, navigate to the tmp folder, then navigate to assets, followed by wallpapers. Select the theme you would like to use, for example bichromatic pads, by entering the corresponding folder. Enter the subfolder labelled for its image resolution, for example 1440x900.